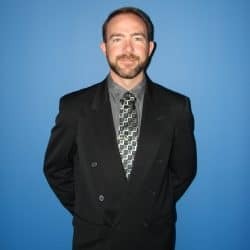 Paul McKnight is a central Illinois native who graduated from Southern Illinois University Carbondale in 2007 with a Bachelor’s Degree in Chemistry and a minor in Environmental Studies. After graduation, Paul was recruited to St. Louis to work in the pharmaceutical industry as a quality control and method development chemist. Paul met his wife Angela at work in 2007 and they were married in March 2011. They now have three children and live in St. Louis County. After four years in the pharmaceutical industry, Paul made the move to start his own company, Earth First Solar (later changed to EFS Energy) in 2011. In 2013, the company experienced rapid growth at which point Paul exited the pharmaceutical industry and made running the business a full-time job. In 2014, Paul graduated from the SBA’s “Streetwise MBA” class. Paul has also acquired NABCEP Installer certification and the USGBC’s LEED Green Associate certification. Utilizing his experience in highly regulated and structured business environments as well as his MBA training and NABCEP solar classes, Paul has grown the company from a 3 person part-time operation into a profitable business employing 14 people in both Missouri and Illinois.